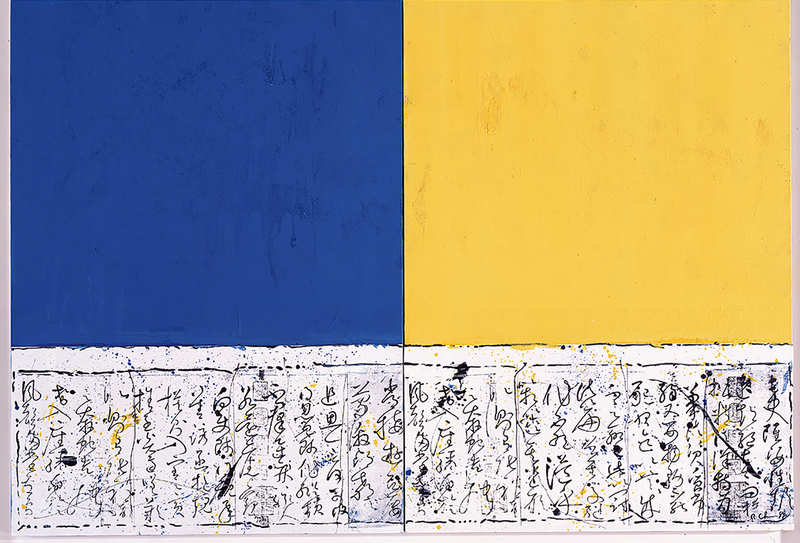 Chen Cheng-hsiung’s artistic career reached new heights with his “Window” series, which was inspired by Microsoft Windows and Russian icon paintings. Shown here is Window Series XVIII. Digital Space Series I. Chen Cheng-hsiung’s abstract style is the product of ceaseless innovation. 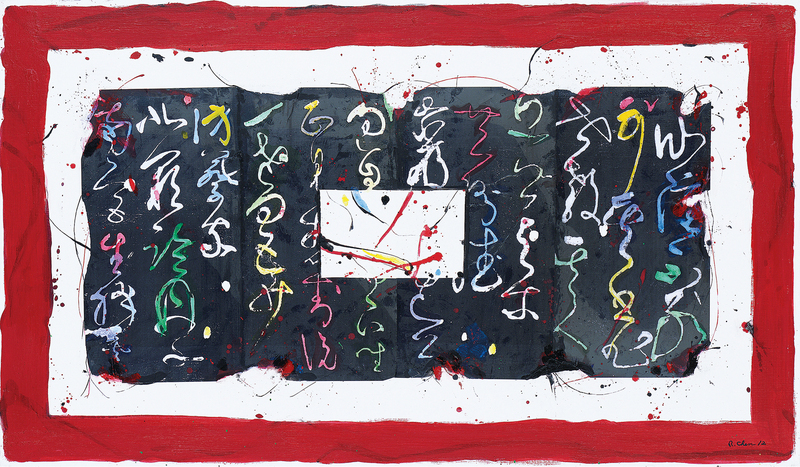 He expresses the contemporary concept of digital space by combining color elements with calligraphy. 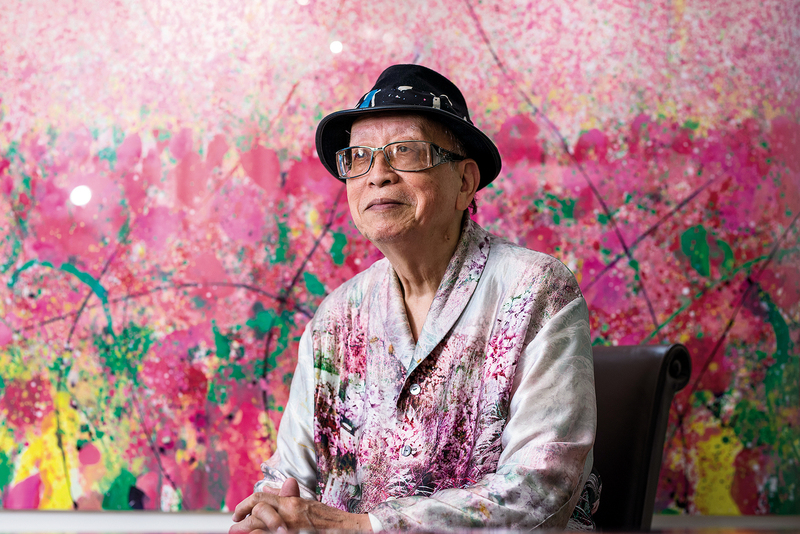 Chen Cheng-hsiung has found new sources of artistic inspiration in different cultures, including the gentle beauty of Qing-Dynasty court apparel and the use of brilliant colors in Aboriginal art. 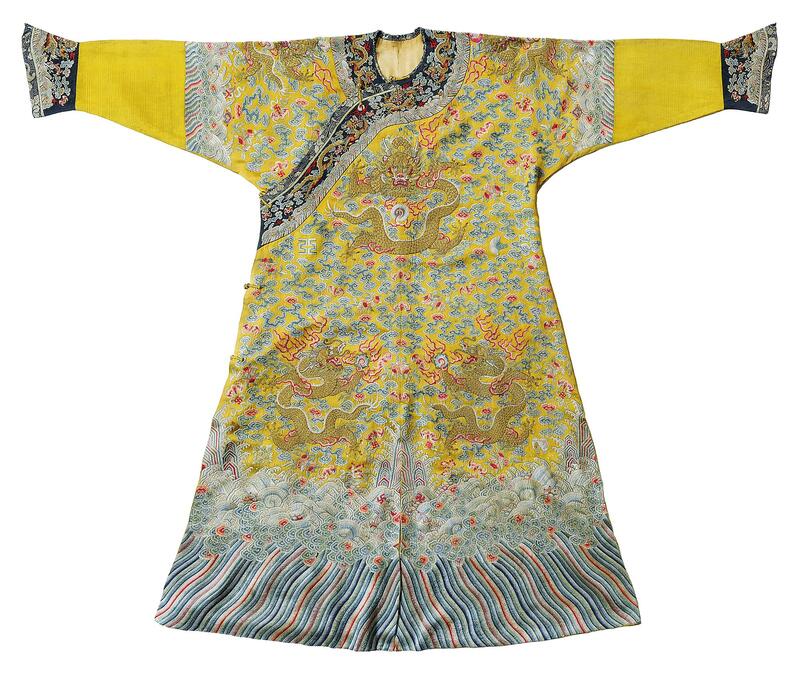 The photo shows a Ming-Dynasty dragon robe in yellow silk brocade, embroidered with the auspicious “12 Ornaments” that symbolize imperial authority and power. 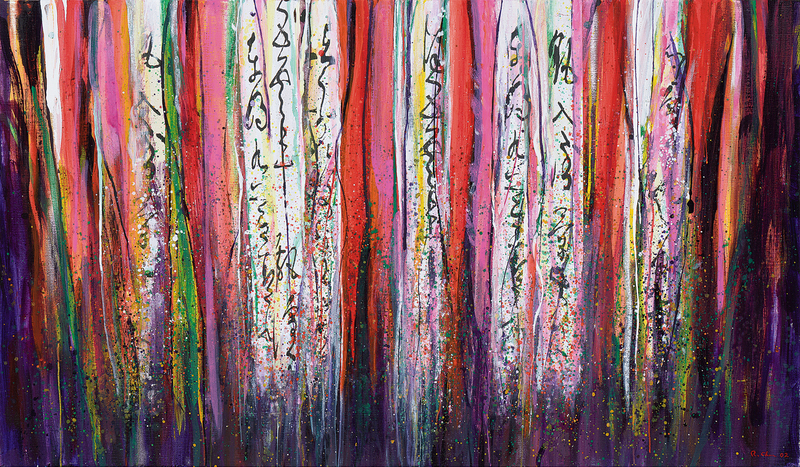 Chen Cheng-hsiung has found new sources of artistic inspiration in different cultures, including the gentle beauty of Qing-Dynasty court apparel and the use of brilliant colors in Aboriginal art. 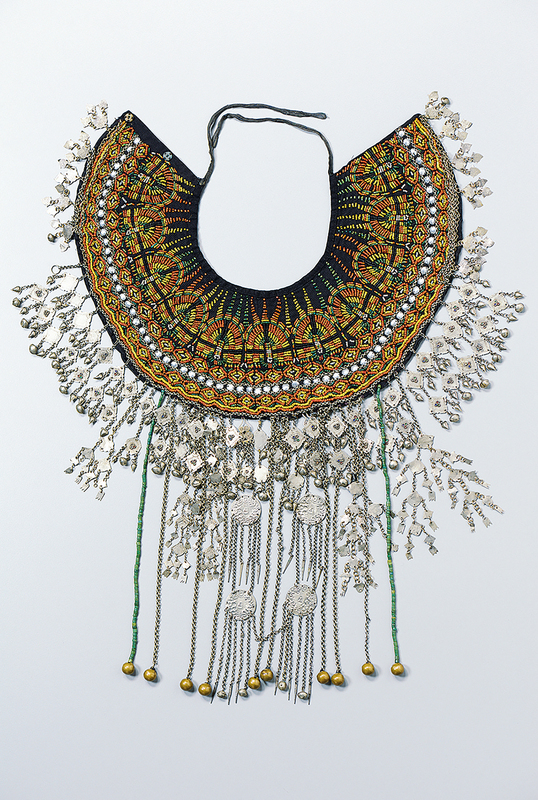 The photo shows a beadwork shoulder cape of Taiwan’s Paiwan tribe. 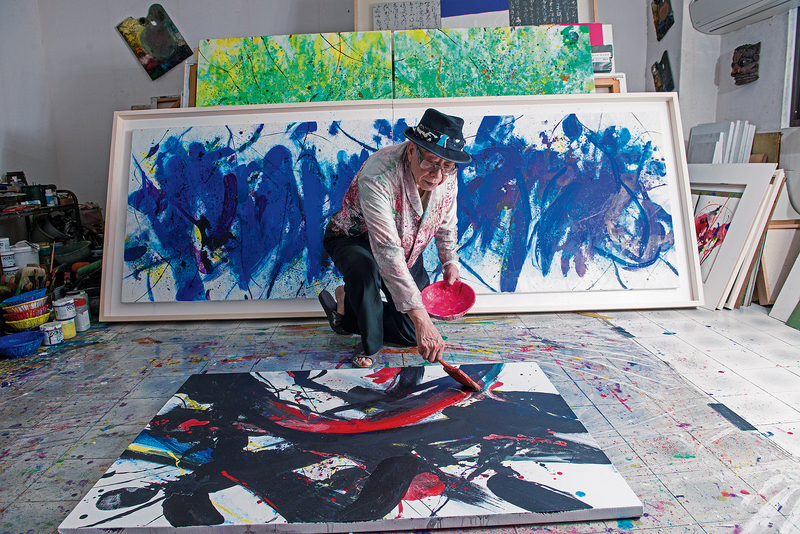 Color is part of Chen Cheng-hsiung’s artistic DNA. 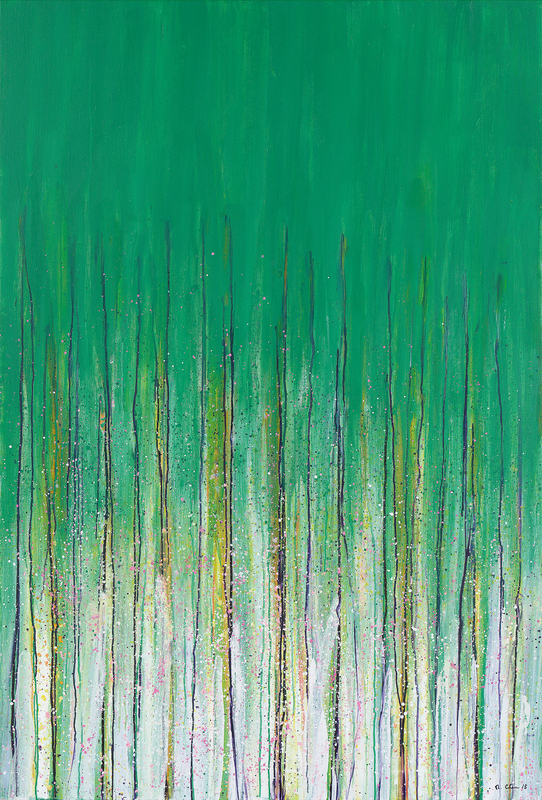 His paintings reflect his lust for life and love of nature. Shown here is Fringes of Space and Time Series III.